KEM FLOOR HT is ready to use non-metallic floor hardener designed with high quality natural aggregates which gives abrasion and wear resistance. 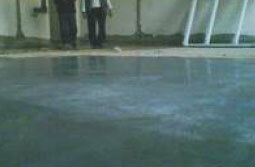 It bonds monolithically to the base concrete, suitable for existing and as well as new floors. Hardwearing and dustproof flooring, anti-skid & anti-slip flooring, shop floors / warehouse, loading bays, rafts, car parking, garages, automobile industry. KEM FLOOR EM is a pre-mixed ready to use dry powder consisting of selected and graded high quality Emery aggregates, portland cement and special additives to impart the desired properties. The emery aggregate used is an extremely hard, chemically inert aggregate which resists polishing, therefore, providing a non-slip skid resistant surface even when wet. Also being non-metallic it will not rust. Use of special additives reduces placing time about 20% compared to site batched material and ensures full compaction and proper hydration of the “KEM FLOOR EM" wearing course. KEM FLOOR EM is available in natural grey colour but special colours can be produced upon request for large orders. 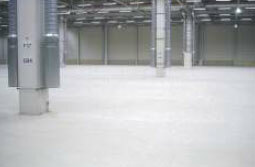 It is used to provide an extremely hard wearing, abrasion resistant monolithic surface to new concrete floors. Excellent non-slip characteristic which allows use on wet areas and ramps. It is ideally suited for all industrial areas subjected to the heaviest traffic like car parks, loading bays, warehouse floors, machine shops, etc.